HTC has confirmed that it will begin updating its existing Android devices with Ice Cream Sandwich next month. First in line for the long-desired Android 4.0 coat of paint is the HTC Sensation range. The Sensation, Sensation XE, and Sensation 4G will get the overhaul by the end of March. The Sensation XL update will follow shortly thereafter, the company said on its Facebook page. After that, well plans are already afoot to update devices like the Incredible S, Rezound, Desire HD, Desire S, EVO 3D, Amaze 4G sometime during 2012. We already know that the company will launch an Ice White iteration of the original Sensation, which'll come bundled with Android 4.0, on March 1st. The update schedule puts the Sensation range at the forefront of HTC's thinking, but that may change with the expected launch of a host of new Android 4.0, 4G LTE devices at MWC later this month. Names like the HTC Edge and HTC Ville (which sounds like it should come with a beret and a stripey shirt) have been thrown around ahead of the annual Barcelona mobile show. 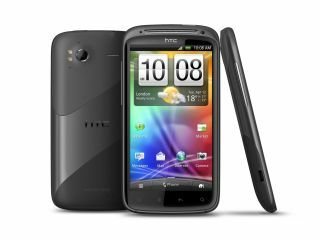 With HTC promising to refocus its attentions on a few key smartphone releases in 2012, we're super-keen to see what the company has to offer as it looks to recover from an underwhelming 2011.